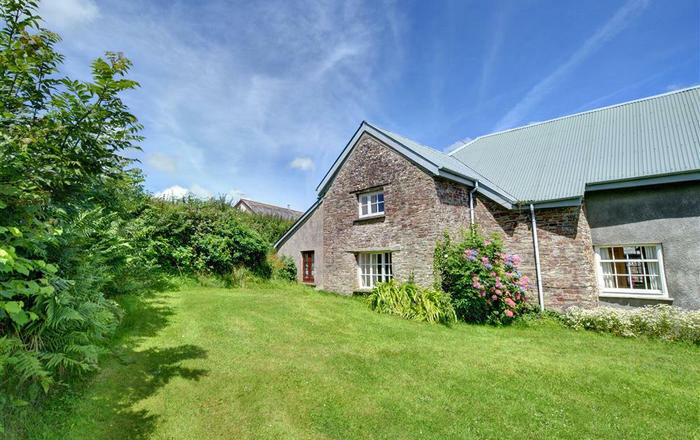 Spacious barn conversation in the delightful village of Slapton. 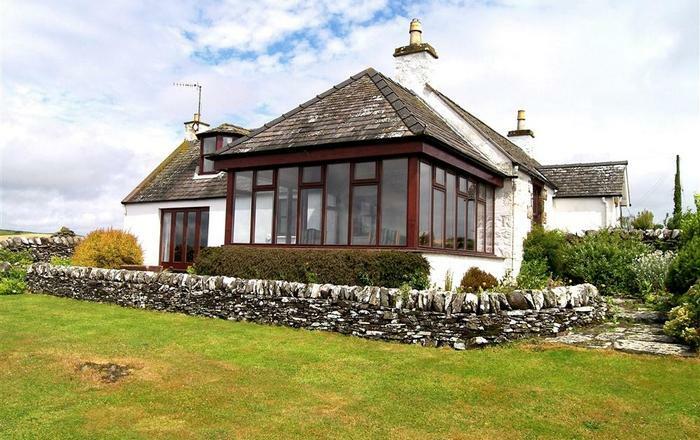 Cherry Cottage has 4 large bedrooms comfortably sleeping a party of 8. 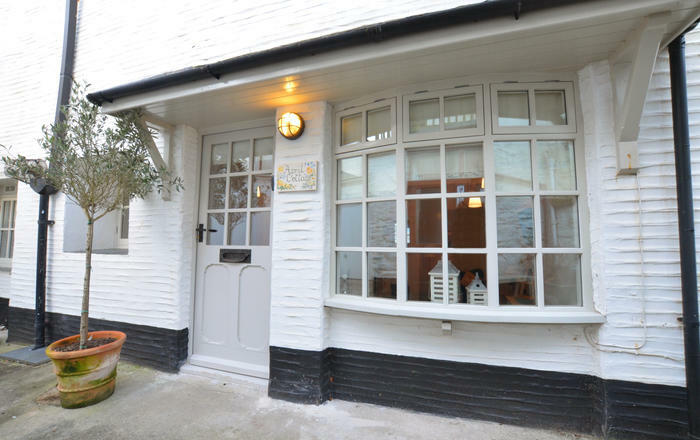 This mews style holiday property fills with sunlight and has plenty of living areas including 3 bathrooms. Outside, there’s a lovely garden and an area with chickens and a duck pond which is fed by a spring. If the wildlife isn't enough to keep the children entertained, the climbing frame is sure to be a hit! The garden is perfect for family barbecues with a dedicated seating area for relaxing and sharing a glass or two… the views are pretty good too! Kingsbridge and Dartmouth, which are both just a 15 minute drive away by car, both have various shops, pubs, restaurants and boat trips. 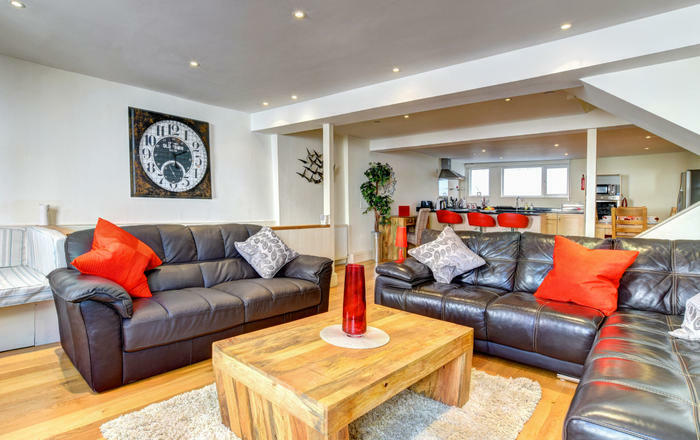 Guests of Cherry Cottage will receive 25% discount at the leisure facilities at The Best Western Dartmouth Hotel, Golf and Spa, so if the weather is a little inclement you can head off to the indoor swimming pool, the gym or just relax in the spa! 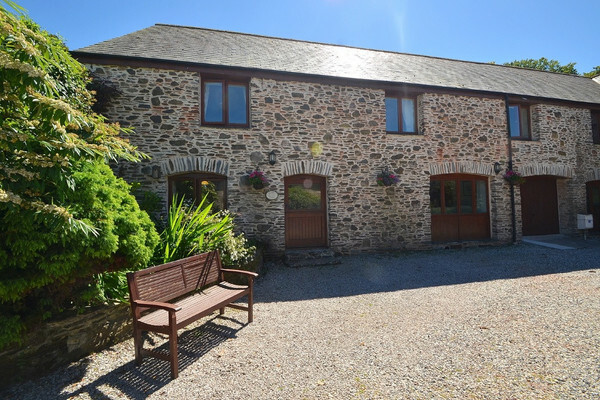 Cherry Cottage is a lovely bolthole to get away with the family… a great holiday home in a great location. 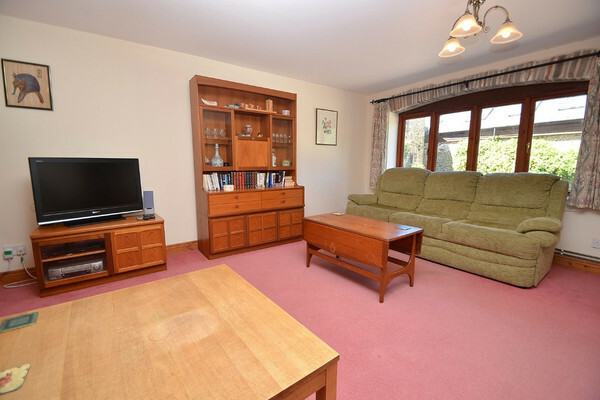 Living room: Spacious with large windows, 3 large comfortable sofas, large Freeview TV, DVD player. 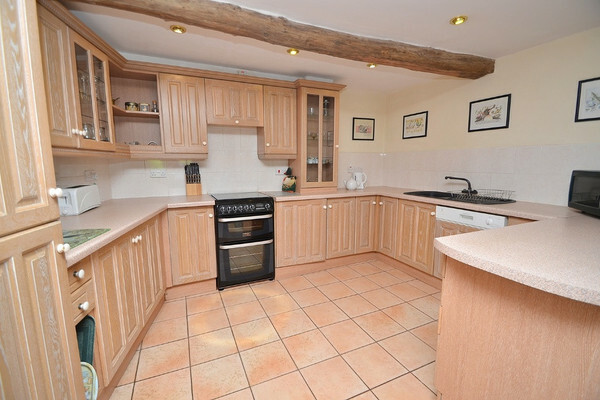 Open plan kitchen/Dining area: 4 ring hob, fridge/freezer, dishwasher, washing machine and plenty of quality kitchen utensils. 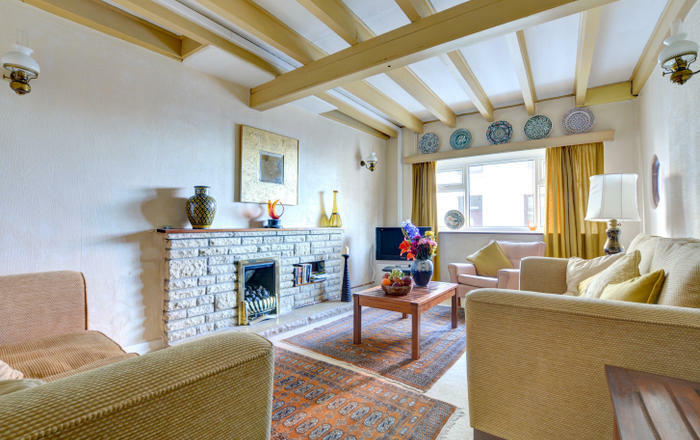 Original exposed beams, large wooden dining table comfortably seating 8 overlooking the courtyard. TV. Master bedroom: King-size bed, views overlooking the courtyard, wooden wardrobe and chest of drawers. 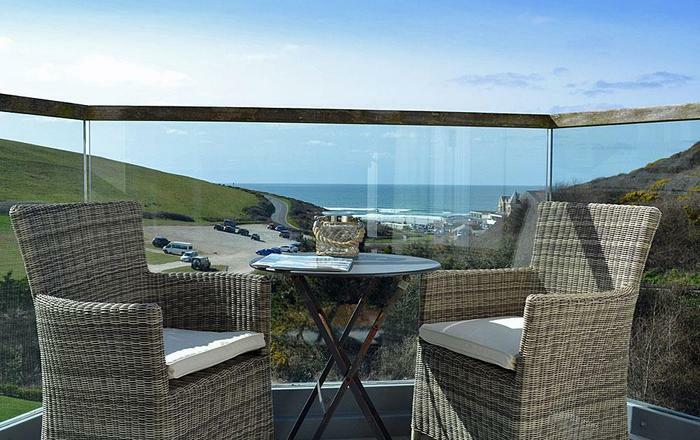 Large room with space for travel cot, en-suite with with power shower, wash basin, WC and heated towel rail. Bedroom 2: Double bed, plenty of storage, en-suite bathroom. Bedroom 3: Front facing room with views over the courtyard. 2 twin beds, separate wash hand basin. Bedroom 4: Full size bunk beds suitable for adults, wardrobe, bedside storage. Bathroom: Family bathroom and 2 en-suites. All tastefully decorated with a neutral white theme throughout. Outside: Spacious grounds a safe haven for children, climbing frame, barbecue area with seating and excellent views, gravelled area with a wooden bench beneath the trees and surrounded by various flowers. 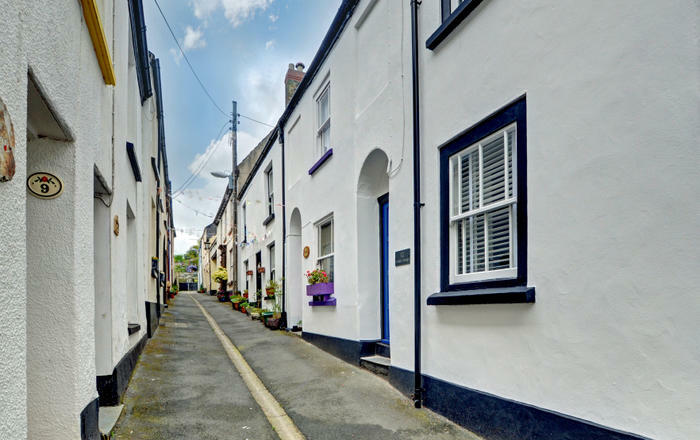 Parking: Parking for 2 cars with further parking behind Buckland Stables. Once inside the property there is a detailed map explaining where cars can be parked. Facilities and services: WiFi connection available. Bed linen and towels provided. (Beach towels not provided.) Arr/Dep. For weekly bookings is Friday. 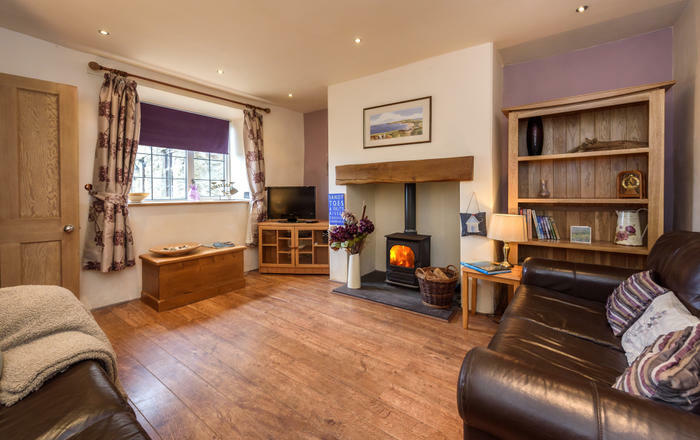 Short breaks available in low and mid season, minimum 3 nights. Pub 1.5 miles, shop 1.5 miles, coast 2 miles. No smoking. Up to two pets are welcome on leads whilst in the grounds, garden.